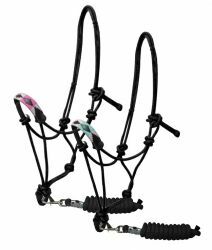 Horse size nylon combination halter bridle with reins. Showman ® Multi color Navajo print overlay. 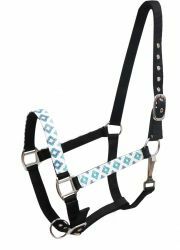 Showman ® Brown and teal Navajo diamond print overlay halter. 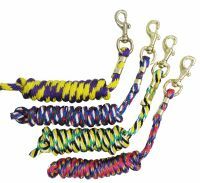 Horse size rope halter with lead. 6ft Flat nylon stud lead with 18" chain. 10ft nylon lead with solid brass snap. 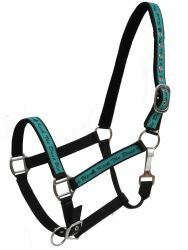 Showman ® Full Size teal " Riding on Faith" print overlay nylon halter. 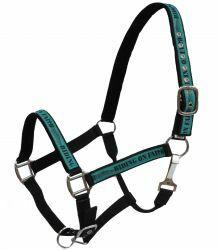 Showman ® Full Size teal " Trust your Horse" print overlay nylon halter. 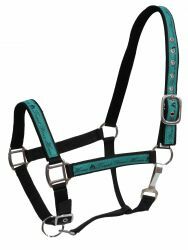 Showman ® Full Size teal " Kick the Dust Up" print overlay nylon halter. 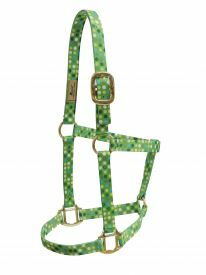 Accent premium nylon green polka dot halter. Accent premium nylon pink polka dot halter. 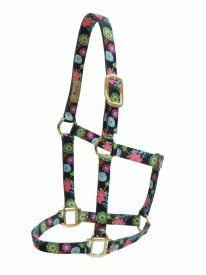 Accent premium nylon wild flower print halter. 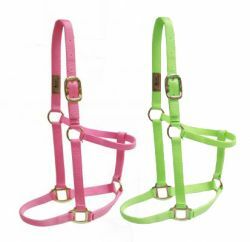 Accent premium Ombre colored nylon halter with Equi-Snap®. 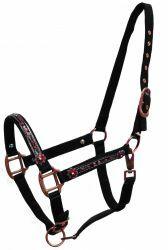 Showman ® wrap embroidered rope halter with 7' lead. 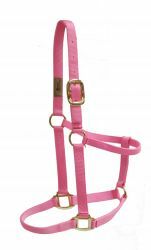 Showman ® FULL SIZE Nylon halter with pink twist stich and copper hardware. 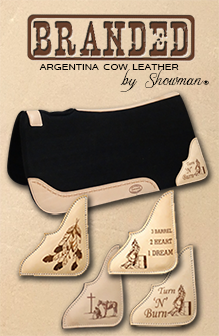 Showman ® "3 Barrels, 2 Hearts, 1 Dream" rope halter. 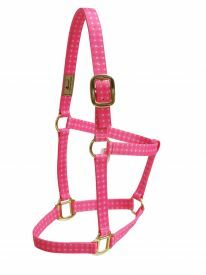 Showman ® "Follow Your Dreams" rope halter. 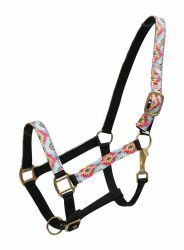 Showman ® "Kick The Dust Up" rope halter. 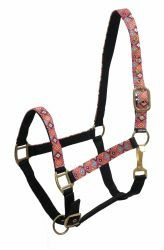 Showman ® "Riding on Faith" rope halter. 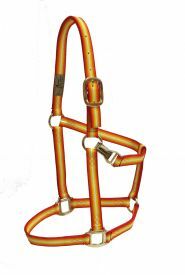 Showman ® Native American Chief bronc nose rope halter.